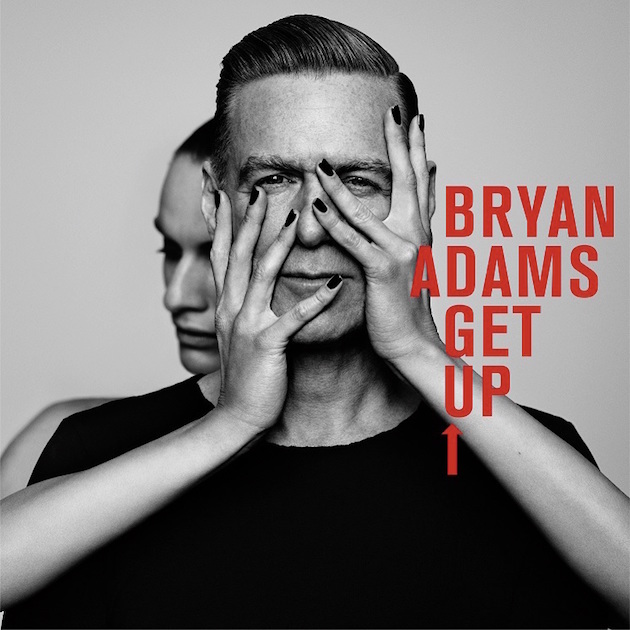 After 30 years of touring and countless chart hits, Canadian singer Bryan Adams is back again to show what he's been up to since the release of 11 in 2008, with his latest and 13th studio album Get Up. With all-new material, fans of Adams will be happy that he's releasing original songs for the first time in a while. Has he still got his mojo after so many albums and so much success? With this album being produced by Jeff Lynne (who's a member of the Electric Light Orchestra), you would think it's brought something new to the table after previous album of Adams's seemed to consist of playing the same song but in a different order and giving them all different names. Sadly though, this isn't quite the case. It starts off with 'You Belong To Me' - bringing out a bit of his country side and being quite pop-y, but reminds me of something my dad would put on by T-Rex, nothing particularly new. 'We Did It All' brings the tempo down a bit, but shows a recurring theme of the past, something that is all the older singers from the past make songs about. 'Thunderbolt' is too out of Adams' league - it doesn't suit his voice at all. The guitars are fun to rock along to, but that's about it. The acoustic versions of some songs on the album are included and start to show what he really could've done with this album and those reflect how it should really have turned out. You can buy 'Get Up' on Amazon (UK | US), iTunes and stream it on Spotify for free. Adams is also touring Australia, Europe and the US - information about it can be found here. Follow Adams on Instagram, Facebook & Twitter to see what's he up to. Don't forget to follow me on Bloglovin' to see when I have a new post, straight after I've posted it.